If the current generation of connected home hubs aren’t enough for you, then check out the Indiegogo campaign for ALYT (pronounced alight), which offers a slew of radios including Bluetooth and cellular for $149 or $179 depending on when you order. The idea is that ALYT acts as a redundant security system as well as a home automation center when combined with a package of sensors and video camera. I’ll get to specs in a moment, but given my time playing with four of these devices and then checking out several more, I have to say that hardware should not be the first consideration for the average consumer if they are looking for a smart home. When it comes to these devices, software and the ease of getting the application that comes with the hub to do your bidding is what will make or break the product experience. ALYT runs on Android(s goog) so the development environment is familiar to many, and the videos of the rule setting engine makes the software look pretty easy to program simple conditional elements. I am curious how we can help get beyond programming to anticipatory and predictive homes, but that’s likely a ways off. As for the hardware, the hub contains cellular, Wi-Fi, Bluetooth, ZigBee and Z-wave radios along with and infrared blaster for TV remotes. The cellular is for wireless backup in case your power goes out. You can find a similar level of redundancy is the Lowes(s low) Iris system, although you have to pay a monthly fee to get it. I assume AYLT will offer a subscription of some sort to offset the cost of providing cellular connectivity. ALYT also has packages that include an array of sensors and even a video camera for use with the system, although a big draw for the device is the open development environment that it touts. Much like NinjaSphere, another hub that is open to developers, the ALYT crew seems to be focused on a DIY market that likes to get their hands dirty and customize. SmartThings is also focused on this space with an integrated development environment and also some Arduino shields for people who like to make custom add-ons for their home automation systems. As seems the case with these hubs, ALYT has a lot of promise, but this is still a product for a niche and tech-savvy audience that wants to play. Of the many hubs out there, it has one of the most complete offerings given its openness and the addition of cellular as a backup. 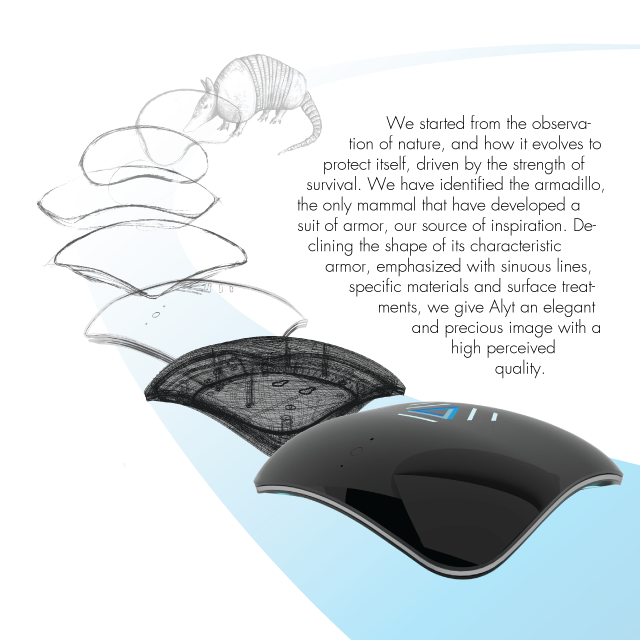 Plus, it’s the only home hub design inspired by an armadillo. As a Texan, I could go for that. I really hope they collect the 100k within 16 days because I don’t want the $149 back, i want the device in my house so i can deploy it and play with it and start developing apps for it. As you see the device will have to prove itself to take over everything zwave and wifi and irrigation and blinds and lights and electrical and door locks and nest and tv and hifi and coffee pot and much much more to do from day one. So what is the difference between this and ninja sphere? They look to be the same and not fully prove yet. Can this locate objects via BLE? Can it control my devices (Zwave, wifi) instead if my Vera with access to rules or IFTTT? First of all ALYT, is not just another black box but, unlike any other, is a truly OPEN systems with an ANDROID engine, that allows to load third party apps the very same way as you do on your smartphone or tablet. 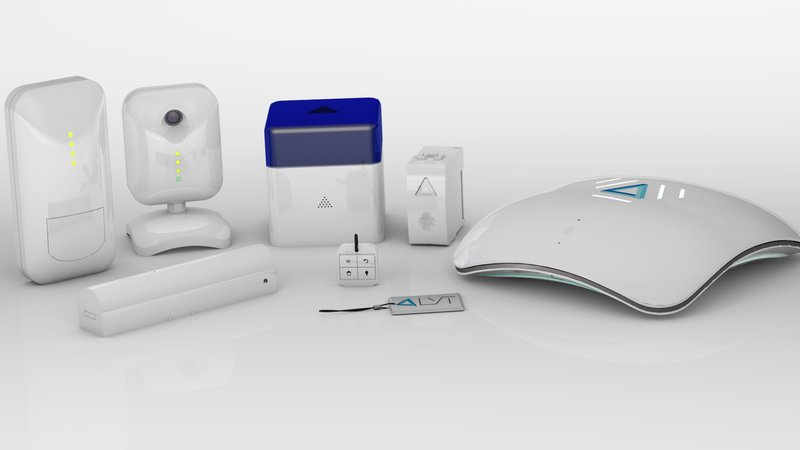 ALYT has more built-in connectivity: Zwave, infrared, cellular and a security RF dedicated protocol. ALYT has BLE and can interface sensors. It is also worth noting that ALYT has built-in battery and cellular so it can work even in case of power outages and in absence of LAN/WIFI connection. For a preview of how to configure rules see our tutorials in the ALYT Indiegogo page. It looks like the aliens have finally landed; make them so they hover and spin in a dark room, and really scare the pants off us! LOL! The article was informative! You should mention what one of these babies go for? I very much enjoyed your presentation. Thank you! We are confident that there are more StarTrek fans than people afraid of finding aliens in their living room!!! The baby goes for as low as $149 on Indiegogo, see: http://igg.me/at/alyt/x/7015575.